Simply publish the PDF's that you sent to the printers online. It doesn't need to be wrought with functionality...just PDF's of the cards. It would give people a visual spoiler. b) already have a very stable platform for the database. While I would love to have access to the cards in a digital format, I can see that people would be all too tempted to print their own proxies. This can kill the sales of the game itself as people would just make their own cards and would have no need to purchase anything, especially if their friend already has a copy of the full game. Utterly untrue. By all record, games that find their way onto cardgamedb show a quantifiable increase in sales. Agree.. proxies won't hurt this game and they solve problems here at the beginning to fill in gaps. That sort of openness on the part of the publisher will serve to help build the community. And so will an online database. People want to create spellbooks... they want to play around with ideas and try different builds and without electronic help its kind of a PITA. People will eventually build fan sites and spellbook calculators and such, but it would be easier with files for the cards and components. Proxies are fine just not in league or tourney play. We made a thread about it a while back. Thanks for all the feedback - I'm looking into several options personally right now, hopefully we'll be able to get something to you guys soon!  Can you guys tell me a bit about cardgamedb.com? I've contacted the guys over there, and they seem really cool - I just wanted to know if this is something you guys would really like or not. I will check it out this weekend have never used it before. cardgamedb is a resource where you can provide a free, comprehensive, digital representation of your game for people to view. 1) Forums: The forums are where people interact. Many games have a forum subsection. These forums are basically what you have here, but I've found that the conversations held there are usually a step above in terms of discussing deck strategy and deck construction for the various games showcased on the site. What is really cool is that you can use multiple aspects of the site at the same time, as seen below. 2) The deck building engine: Is, bar none, the most functional and elegant online resource I've EVER seen for building decks. The search algorithms and functions are phenomenal. For example: You play Game of Thrones LCG. You're looking to build a new deck. To get a starting point you filter the engine (which has every card ever made for GoT LCG) to only show you cards for the Lannister House, that cost 3 gold or less, that are characters, that have Stealth, that have both the Military and the Intrigue Icons, that are Lords. The engine does its thing and BAM! You have a list of cards that are hardlinked to visual images and notations with erratum. You browse through this list, find a card you want, and "add" it to your virtual deck, which you can save and view later, or edit more, or you can publish that deck into the cardgamedb database for others to view, and then others can comment on your deck directly from where it is stored, which is hard-linked to a forum subsection. It is, in my opinion, the perfect tool. They very much cater to Fantasy Flight Games, at the moment. They are not actually affiliated with FFG, but they showcase all of FF games. Not being a game publisher, I've never been interested to pursue the steps necessary to see what would be required to get on cardgamedb. As an aspiring game developer, however, when I finally get one of my games off the ground, that is going to be the first phone call I make (take that for whatever you think it's worth). And, if I couldn't work something out with them, I would go find some college students and say "Check out this site. I will give you money to duplicate this." It's about accessibility. Right now Magewars is pretty inaccessible to people who aren't sitting with their collection in their lap. People talk about X, Y, Z cards, but unless you have your cards with you, you have no idea what's going on. There's no visual spoiler, so people can't check wordings of things to help chime in in the rules section, there is no visual spoiler, so people can't brainstorm deck concepts to fullest potential. People coming to this forum for the first time have no reference point. Damned be the people without a copy of the game, because they are truly clueless about these conversations. A lot of gamers like to do research on a game before investing time and money into it. They want to see the cards, tinker with mechanics, etc. This is made much easier with a visual spoiler, a searchable database, an online deckbuilder. Awesome - thanks for the help Nihil, I'll get you guys an update as soon as we move forward on a few of these things. I quote everything that Nihilistiskism said. I use cardgamedb daily to build and tweak my Android: Netrunner decks and it's Awesome. The database handles all deck building rules, uploads finished decks to a lists where they can be sorted, tagged and evaluated by other players, it directly supports octgn decklists exporting for online play, and for every game featured, there are strategy and deckbuilding articles published weekly. The community quality is also excellent.